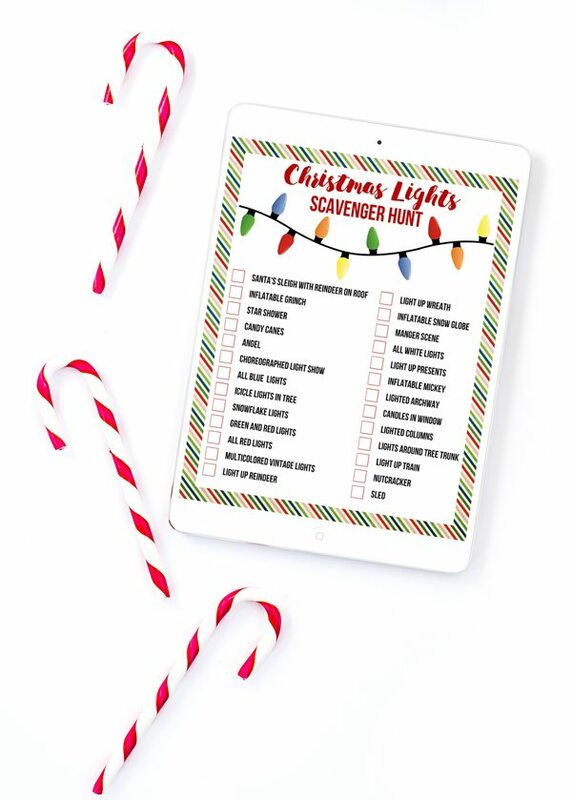 Start a new tradition with your family this year with a Christmas Lights Scavenger Hunt. When I was growing up, we would always spend one night driving around looking at Christmas lights. Now that I have kids, it’s one of their favorite things to do. Every year, we out into the country in the old front wheel drive sleigh to embrace that frosty majesty of the winter landscape that’s called North Carolina in winter. Over the years, the kids have asked for more and more to be added to the list. They know all the lights in the neighborhoods by heart “let’s go to the one with the blue and white lights on the house and the Snoopy out front and the Grinch in the window. You know how to get there right, Mom?” Um, yeah sure. Whatever types of lights your kids like, there are plenty on this list to cover all the bases. 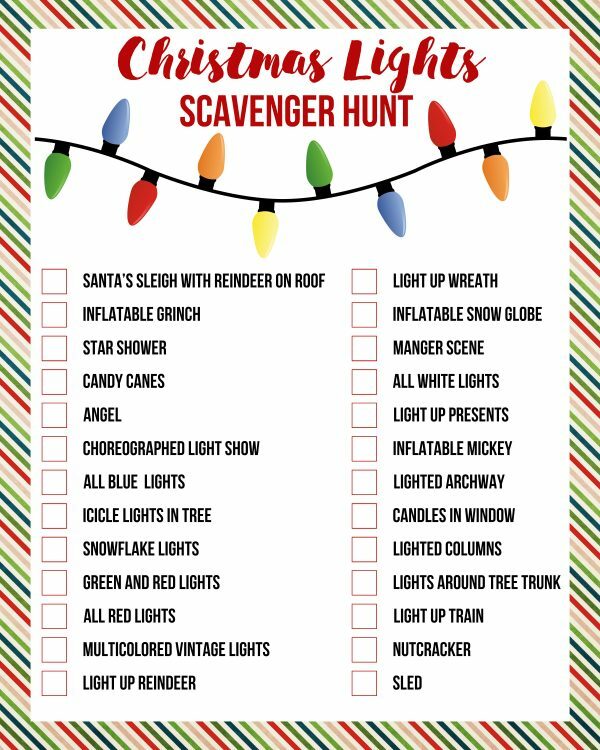 So print out a few, fill up a thermos of hot cocoa and get your scavenger hunt on. You can access the print in the resource library, below. Please note that this printable is for personal use only. You may not sell or redistribute it. What type of Christmas lights are YOUR favorite?